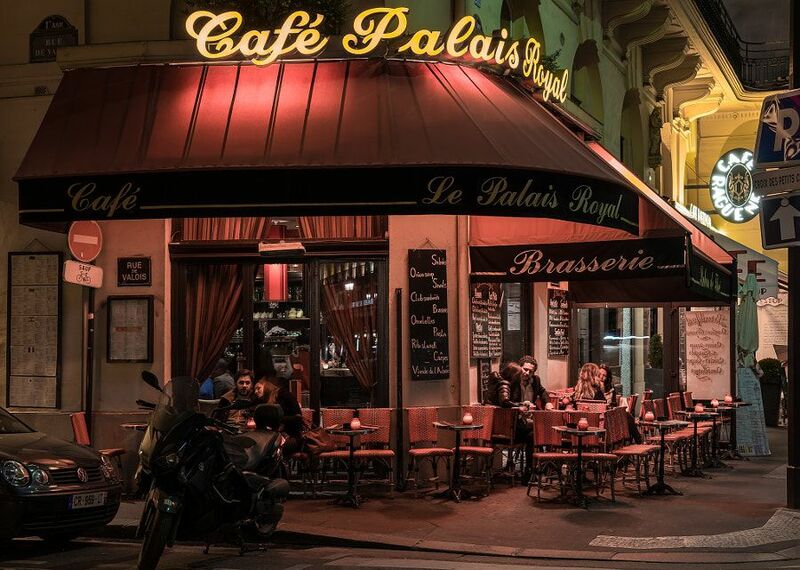 Cafe Palais Royal – by Pat Kofahl - Together, We Make Memories! Several conversations are in progress in this evening cafe scene at the Cafe Palais Royal, in the 1er arrondissement de Paris, just a short walk from The Louvre museum. This fine art image by Pat Kofahl is available in multiple sizes on paper, canvas, metal and plexiglass. Prices start at $49.00!